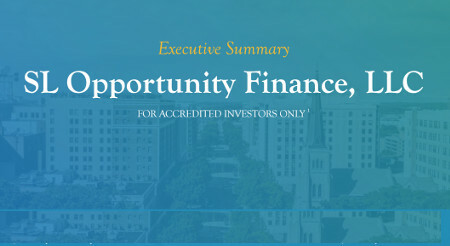 SL Opportunity Finance, LLC was organized to provide secured short term, preferred equity and debt investments to investment sponsors in the acquisition and/or development of real estate and other real property investment. Investors in SL Opportunity Finance can benefit from the demand in the marketplace for further investment program development to meet the needs of real property investors seeking replacement property solutions in a §1031 exchange. SL Opportunity Finance Sponsor and Manager anticipates aggressive product development and real estate investment over the next several years based on the amount of syndicated commercial real estate liquidating and returning equity to the market seeking new investment. Based on its market research, Sponsor anticipates the need for sponsors of §1031 exchange replacement properties to significantly expand their pipeline of available investments to meet the demand for replacement properties over the next several years. 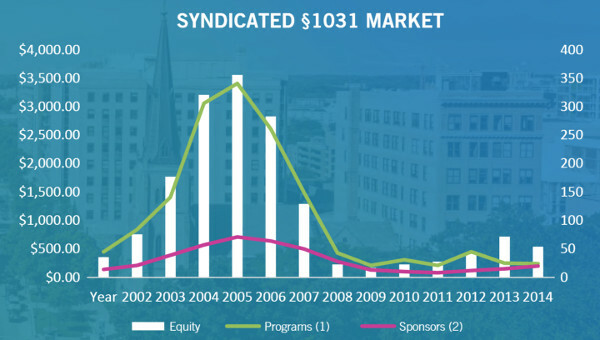 From 2002 until the credit crisis in 2007 and related decline in real estate prices, over $12.4 billion of equity was raised in syndicated exchange programs (chart to the right).Data suggests that the majority of all of the transactions syndicated were accomplished using a CMBS first mortgage with an average term of 10 years. This implies more than 1,000 investments will have loan maturities from 2015-2018. To amplify this point, more than $300 billion of CMBS loans are scheduled to mature during 2015-2018 time period.The Company intends to provide short-term capital investments to Affiliated Companies as well as other sponsors which meet its lending requirements to facilitate the acquisition of real estate investments to be structured as DSTs to assist in meeting the demand of investors seeking primarily §1031 exchange replacement properties. (4) offer low correlation to broader markets.  Interest Rate: 10-15% annual based on the collateral. Interest will be calculated daily on an actual/360 basis. The current portion of the interest will be due in arrears on the 5th of the month. Unpaid current interest will be compounded and added to the principal balance. The accrued interest portion will accrue on a non-compounded basis and be due at repayment.  Costs: A borrower will be responsible for the Fund’s reasonable legal and closing costs up to $10,000.  Default Rate: 125% of the base rate.